LAVALLÉE, CALIXA (baptized Callixte), pianist, composer, and music teacher; b. 28 Dec. 1842 in Verchères, Lower Canada, son of Augustin Lavallée* and Charlotte-Caroline Valentine; d. 21 Jan. 1891 in Boston. Calixa Lavallée, whose ancestors came from Poitou in France and from Scotland, showed musical talent at an early age. His father, a blacksmith who was also a maker of stringed instruments, a voicer of organs, and a bandmaster, provided his basic musical training and taught him to play the piano, organ, cornet, and violin. Around 1850 the family settled in Saint-Hyacinthe, where Augustin Lavallée worked as a voicer with organmaker Joseph Casavant*. Young Calixa was enrolled in 1852 in the Séminaire de Saint-Hyacinthe. In the spring of 1855 a wealthy Montreal butcher, Léon Derome, took him under his wing, inviting him to stay in his home. Piano lessons with Paul Letondal and Charles Sabatier [Wugk*], both of whom had come from France several years earlier, confirmed Calixa’s exceptional gifts. Eager for adventure, Lavallée left for the United States in 1857 and won a competition in New Orleans, which led to a tour of South America, the West Indies, and Mexico as accompanist for a Spanish violinist named Olivera. 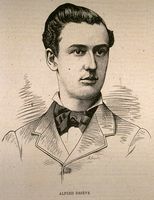 In September 1861 he was in Providence, R.I., where he was signed on as a musician by the Union army. A year later he took part in a bloody battle at Antietam, Md, where he is believed to have been wounded in the leg; this may have been the reason for his honourable discharge in October 1862. Lavallée came back to Lower Canada and in January 1864, after a period of rest, gave a concert in Montreal to mark his return. He formed a friendship with the great Belgian violinist Frantz Jehin-Prume, with whom he performed. But again feeling the urge to travel, he set out once more for the United States. He went back to New Orleans, and then on to San Diego and to New England. In 1867 he married Josephine Gently (Gentilly) in Lowell, Mass. ; they are believed to have had four sons. Lavallée settled in Boston as a teacher and virtuoso performer. His opera, TIQ, the Indian question settled at last, is thought to have been written at this time. Around 1870 Lavallée was appointed director of the Grand Opera House in New York, for which he composed the operetta Loulou. It was to have been performed in 1872, but when the owner of the theatre, speculator James Fisk, was assassinated in the street, the production and Lavallée’s employment as director were both terminated. Disheartened, the composer returned to Montreal. To rescue him from his enforced idleness, Léon Derome decided to carry out a long-cherished plan of sending his protégé to Europe to complete his musical training. With financial support from Derome and his friends, Lavallée set out for Paris in the spring of 1873. There he studied piano with the great teacher Antoine-François Marmontel and also took classes in composition from François Bazin and Adrien Boieldieu. He stayed on in Paris until July 1875, but information about his activities during this period is sketchy, there being no extant diaries or letters. It is known that he composed a series of piano études, including one in E minor entitled Le papillon which was played at the Paris Conservatoire. Marmontel certainly had high regard for his student, whom he praised for his “steadfast and unstinting work.” In July 1874 a Suite d’orchestre composed by Lavallée is said to have been performed by an 80-piece orchestra under the well-known conductor Adolphe Maton. There is no record of this performance and its score has not been preserved. Lavallée was then living at Quebec, where he was organist for St Patrick’s Church. He was expressly commissioned by the government to compose within one month a cantata for the arrival of the new governor general of Canada, the Marquess of Lorne [Campbell*] and his wife, Princess Louise*. The work was finished on schedule, and on 11 June 1879 it was performed by a 150-voice choir with soloists and a large orchestra conducted by Lavallée. It was an enormous success. Trusting that he would be reimbursed by the government, Lavallée had assumed a large part of the production expenses himself. But the government refused to pay him, despite the debts he had incurred. Hounded by creditors, he was forced to work harder than ever in the triple role of music teacher, organist, and bandmaster. 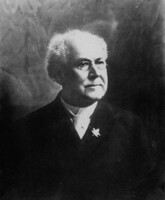 Yet he still found time to serve on a committee chaired by Ernest Gagnon*, which was to plan the music for the national convention of French Canadians organized for the end of June 1880 by the Société Saint-Jean-Baptiste de la Cité de Québec. The idea of a national song composed for the occasion was discussed, but there was not enough time to hold a competition. Thus Gagnon suggested that Lavallée should write a musical setting for a patriotic poem as quickly as possible. The result was O Canada, with words by judge Adolphe-Basile Routhier*, which was first performed to great public acclaim on the evening of 24 June 1880 by three bands assembled for a banquet in the Pavillon des Patineurs at Quebec and conducted by Joseph Vézina*. The new song soon became popular throughout Quebec and later in English Canada, being first sung in English in 1901. Its popularity continued to grow until it was officially recognized as Canada’s national anthem on 1 July 1980, a century after it had been written. Despite the success of his composition, Lavallée’s financial situation remained unstable, and a short time later, although the chronology is somewhat unclear, he seems to have moved to Boston. He continued to teach, at the same time serving as choirmaster at the Catholic Holy Cross Cathedral. Recognition for his talent in this new milieu soon came. He embraced the cause of American composers and, as a member of the prestigious Music Teachers’ National Association, organized what is considered to have been the first concert ever to be dedicated solely to the works of American composers, given in Cleveland on 3 July 1884. Lavallée was hailed as a hero by his colleagues. 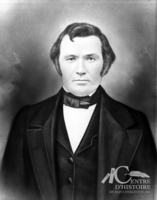 He played an increasingly important role within the association, finally being elected national president at the gathering of 700 members in Indianapolis in 1887. In this capacity he represented the association in London at the first intercontinental musicians’ convention in 1888. 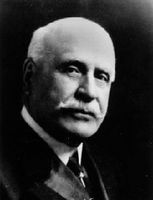 Despite failing health, he organized the association’s 1890 convention in Detroit, where a Suite for cello and piano which he had composed was performed. It created a sensation. But when other music teachers asked for the score, all he could show them was the cello part. He had not had time to write out the piano part and had simply improvised! In the autumn of 1890 Lavallée was forced to give up all his activities because of the chronic throat problems that had undermined his health since 1880 and that were becoming increasingly unbearable. Léon Derome was notified of his protégé’s illness and hastened to his bedside in January 1891. Lavallée died on 21 January, at the age of 48. Three days later a funeral mass was celebrated at the cathedral of the Holy Cross in Boston and he was buried in Mount Benedict Cemetery. On 13 July 1933 his remains were brought back to Canada in a solemn ceremony, to be reburied in Côte-des-Neiges Cemetery in Montreal. With the exception of O Canada, composed at Quebec in 1880, which guaranteed Calixa Lavallée enduring fame, his work remained largely unknown in the first 40 years after his death. Since 1930 musicians such as Jean-Josaphat Gagnier and Eugène Lapierre have worked hard to draw this great figure of Canadian music to public attention. Both published and unpublished scores have been brought to light and performed. In July 1933 a Montreal committee arranged to have his body brought back to Canada; he was reinterred in the Côte-des-Neiges Cemetery and his grave was marked by an unpretentious monument. 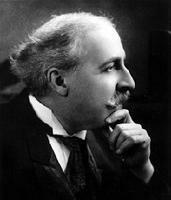 Lapierre’s Calixa Lavallée, musicien national du Canada (Montréal), the first biography of this pioneer musician, appeared in 1936, and the work was republished in 1950 and again in 1966. 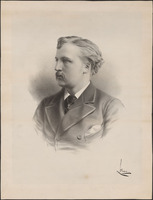 Only a small number of Lavallée’s known major works have survived; these include the operettas The widow and TIQ, the Indian question settled at last, both published in Boston, in 1881 and 1883 respectively, and the offertory Tu es Petrus (New York, 1883), for soprano, bass, choir, and orchestra. Among those not located are the Suite d’orchestre (a composition presumed to have been performed in Paris in 1874), a symphony for choir and orchestra dedicated to the city of Boston, and a cantata for the Marquess of Lorne. Many of his pieces for piano and for voice, as well as three overtures dated 1888, King of diamonds, The bridal rose, and The golden fleece, show his great talent and natural sense of melody and rhythm, if no very profound inspiration. Gilles Potvin, in the Encyclopedia of music in Canada (Kallmann et al. ), provides a detailed list of Lavallée’s compositions and writings as well as a substantial bibliography. ANQ-M, CE1-26, 28 déc. 1842. L’Écho musical (Montréal), 1er janv. 1888. L.-J.-N. Blanchet, Une vie illustrée de Calixa Lavallée (Montréal, 1951). Sumner Salter, “Early encouragements to American composers,” Musical Quarterly (New York), 28 (1932). Gilles Potvin, “LAVALLÉE, CALIXA,” in Dictionary of Canadian Biography, vol. 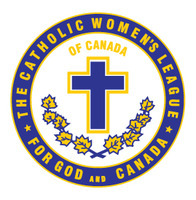 12, University of Toronto/Université Laval, 2003–, accessed April 25, 2019, http://www.biographi.ca/en/bio/lavallee_calixa_12E.html.